In a medium bowl, combine the flour, baking powder, salt, sugar, cinnamon, ginger, and nutmeg. Add the milk, egg, vanilla, and melted butter. Whisk until smooth, it’s okay if some lumps remain. Fold in grated carrots. Turn a griddle to high and spray with nonstick spray. Pour batter onto griddle, using a ¼ cup for each pancake. Brown on both sides for about 2 minutes each and serve hot with syrup or desired toppings. 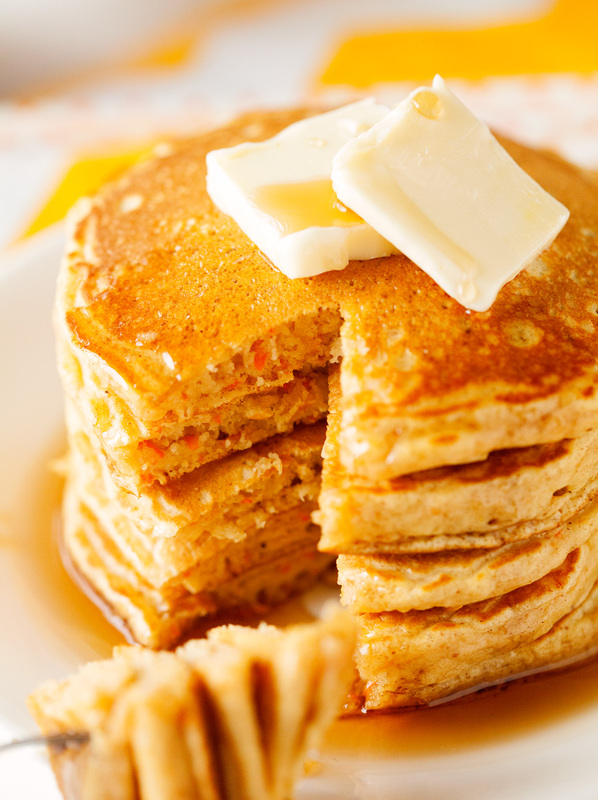 Pancakes can be stored in the freezer for up to 2 weeks.